North Korea has always been at the spotlight of the international stage with its rogue regime threatening the safety and security of millions of lives through nuclear weapons procurement. Although the United Nations have pushed sanction efforts to slow down and dissuade the North Koreans from developing these weapons, their efforts by large have failed. The United Nations’ efforts to stop North Korea from obtaining nuclear weapons exemplifies global governance — an international organization with transnational actors who cooperate to collectively solve an issue that affects the security of the world. This is the general mission of the United Nations. However, the practice of global governance demonstrated by the UN relies on the member nations to be accountable for their agreements and follow through official resolutions. By sequentially analyzing critical failures of the United Nations through the frames of key strategic eras, this paper will attempt to explain how miscalculations, inefficiencies, lack of accountability, ineffectiveness of sanctions, and emergence of state primacy accounted for the failure of global governance in North Korea from procuring nuclear weapons. In the summer of 1950, the United Nations first intervened in the Korean peninsula conflict after North Korean forces, backed by Chinese and Soviet Union support, invaded South Korea. After a unanimous vote from the Security Council of 9-0 on intervening, 21 members of the United Nations committed their troops and supplies to support South Korean military operations (https://www.archives.gov/education/lessons/korean-conflict). Following strict UN guidance on troop intervention, President Truman justified the necessity of contributing troops into the peninsula as a combined United Nations military effort. This allowed for him to declare the conflict not as war, but as a United Nations led “police action” under directions of the Security Council allowing him to circumvent Congressional approval. Upon establishment of the United Nations, Article One of the UN charter outlined the maintenance of international peace and security agreed upon by the Security Council. During this period, the Security Council condemned Soviet endeavors to spread communism to other parts of their neighboring countries. During the Korean conflict, China was yet to be admitted into the United Nations and the Soviet Union vacated their seat in the Security Council. The absence of these two nations allowed the UN to enter the Korean peninsula. Without the Soviet Union to veto any actions taken by the Security Council and the United Nation’s substantial interest in the Korean peninsula, the Security Council found it easy to gain support to intervene in the conflict. The United Nations Security Council resolution which outlined the intervention in Korea asked for member states to self-determine their contributions to the conflict whether it was with troops, supplies, or both. Additionally, the Security Council asked the United States to take the strategic lead in the conflict by establishing a unified command for the conflict as it had the preponderance of strategic interest in the region. This was the United Nation’s first intervention in North Korea—perhaps the first and last successful intervention in the Korean peninsula. During the first decade of existence upon the Armistice Agreement from the Korean War, North Korea enjoyed robust relationships with its communist “big brothers,” but the United Nations miscalculated how these partnerships would be critical in allowing North Korea to procure weapons. During this time, North Korea and the Soviet Union signed a joint research agreement that allowed North Korean scientists to study abroad to gain the technological information necessary to develop their own weapons program. In addition, the Soviet Union provided the Soviet IRT-200 nuclear research reactor and various other facilities that would put North Korea on a launch path towards rapid weapons development. Though the international community was aware of these developments, the 600 nuclear weapons that the United States positioned in South Korea sent a message that the international community was aware of the North’s activities and was ready to take action if the Soviet Union dared to take action against South Korea in North Korean interest. Despite the North’s endeavors to start a weapons program, the earliest years of North Korea were primarily focused on to rebuild from the Korean War and for Kim Il Sung to build his regime’s image built around propaganda. Due to the overlapping timeframe of the Cold War and North Korea’s direct alliance to the Soviet Union, perhaps they were perceived as homogenous threats to the United Nations rather than a separate issue. Furthermore, international intelligence agencies during this time doubted that the warn-torn North Koreans would ever be able to develop nuclear weapons capabilities robust enough to damage any other country beyond its immediate neighbors—a fatal miscalculation. By the 1970s, North Korea developed a significant amount of domestic infrastructure and research on nuclear technology. Once the United Nations perceived North Korea’s nuclear technology significant enough to recognize, North Korea signed a trilateral safeguards agreement with the International Atomic Energy Agency (IAEA) in 1977. Despite the agreement, the 80’s marked the most expansive growth of indigenous North Korean research when it started high explosive weapons tests designed for bombs, various triggering mechanisms, a fuel rod fabrication complex, and a 5MW(e) nuclear reactor. Concerned by its neighbor’s sudden aggressive growth in nuclear weapons technology, the Soviet Union made North Korea sign the Treaty on the Non-Proliferation of Nuclear Weapons (NPT) to be a non-nuclear weapon state in 1985 in exchange for Soviet light water reactors which were to be used solely for energy. For the United Nations, North Korea’s signing of the NPT was considered a rhetorical win, but North Korea was ultimately a false-ratifier of the treaty. However, after the fall of the Berlin Wall in 1989, many impoverished Soviet Nuclear scientists sought refuge in North Korea, bringing along with them substantial amount of classified technological information into the hermit kingdom. Although international intelligence agencies had been aware of this movement, not much action was considered to prevent the migration. In 1991, the US pulled out its nuclear weapons from South Korea followed by the signing of the Joint Declaration on the Denuclearization of the Korean Peninsula. Through the Declaration, both North and South Korea promised “not to manufacture, produce, receive, possess, store, deploy, or use nuclear weapons, as well as ban nuclear reprocessing and uranium enrichment facilities.” It further mandated usage of bilateral inspections to ensure compliance of these standards. However, the North Koreans violated the agreement within a few years upon ratifying, and none of the conditions of the original Declaration were held to account. The lack of accountability was one of the biggest failures of the agreement, especially on the part of the United Nations. The failure of the United Nations to properly share intelligence and take actions contributed to the failure of stopping the North Koreans from developing and acquiring weapons technology. Due to the US’s vested strategic interest in the region, the United Nations relied on the US to keep North Korea a nuclear weapons free state. Had the United Nations structured a joint platform that involved non-US stakeholder countries to prevent North Korea’s weapons program, the United Nations may have had a chance to block North Korea at its earliest stages. These past eight years have marked the most successful and aggressive missile tests by the North Koreans and revealed the catastrophic failure of United Nation against their weapons development. The successful launching of the missiles proved that the aggressive United Nations sanctions and Security Council resolutions did little to stop North Korea’s weapons development. In 2011, Kim Jong Un officially takes over for his late father and is declared the official Supreme Leader of North Korea. During the last eight years, North Korea’s weapons development expanded faster than ever and despite increased sanctions and condemning of North Korean activities by the United Nations, the North Koreans proceeded with their weapons development largely unaffected by any global repercussions. In March 2012, North Korea announced its launch of a satellite to celebrate the centennial birthdate of Kim Il Sung. Soon after in April of that year, the United Nations Security Council condemned North Korea’s satellite launch because it had parallel applications to ballistic missiles development which was in direct violation of United Nations resolutions 1718 and 1874. Despite threats of international sanctions, North Korea continued its satellite developments and successfully launched Unha-3 in late December of 2012. In January of 2013, the Security Council passed resolution 2087 which froze North Korean assets and placed heavy sanctions on their trade. Unaffected by these sanctions, North Korea announced its plans to restart its heavy water reactor at Yongbyon in April of the same year. In March of 2014, North Korea test fired thirty short-range rockets and two medium-range Rodang missiles. Although the United Nation’s Security Council unanimously condemned North Korea for its launches, North Korea announced the next day that it will carry out a new form of nuclear weapons test. In November of 2014, North Korea threatened a fourth nuclear test after the United Nations Human Rights Committee referred North Korea to be tried in the International Criminal Court for human rights abuses. 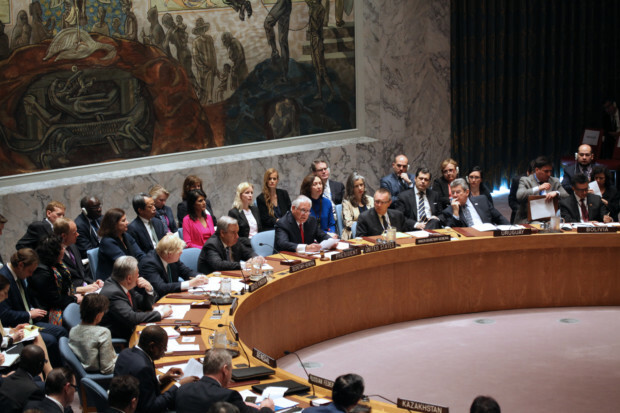 In March of 2016, the Security Council unanimously adopted Resolution 2270 that condemned nuclear test and launch of early 2016, expanding existing sanctions on North Korea. The United Nations continued to condemn North Korea actions from then on, but North Korea did not stop. The analysis of why sanctions did not work in North Korea merits a unique assessment of its own independent of its timeline. Despite heavy international sanctions posed by the United Nations, North Koreans have developed sophisticated ways to get around them through illicit means. With North Korea’s first nuclear test in 2006, the United Nations placed technology-based sanctions prohibiting the trade of any type of goods that could be used to build missiles. Although initial sanctions slowed the procurement of some materials, the North Koreans were quick to adapt and overcome. They became increasingly sophisticated in evading sanctions— the 2017 United Nations report stated that their tactics have become “increasing in scale, scope, and sophistication.” With the advancement of the domestic research, North Korea found other means to develop weapons through reverse engineering of old Soviet equipment or importation of old weapons systems from the 70s. Although the technology sanctions placed in the early 2000s resulted in uneven missile tests in North Korea, they were largely ineffective in halting their weapons development. Lastly, the failure of United Nations sanctions in North Korea reveals another reality of global governance— realism. Countries like China and Russia, who have the most amount of regional influence on North Korea, have the political and economic means to enforce sanctions against North Korea if they wanted to. However, their own state interests of wanting a buffer zone between a US-backed South Korea and a former Soviet-backed North Korea is more attractive to them. Furthermore, North Korea is only a “rogue state” in the context of the Western-dominated global order. North Korea will be considered subordinate state and a rational actor to their former communist brothers of China and Russia. Essentially China and Russia are not as worried about North Korea procuring nuclear weapons as much as the West and Western-backed states because of the strategic alliance they share. This proves that in realism, ‘naming and shaming’ has little no effect when the survival of the state is most important. North Korea example demonstrates a troubling reality: global governance does not work anymore. The failure of the United Nations in North Korea is a great example of the re-emergence in the primacy of the state, especially for major power countries such like China. Global governance has and always will be state-centric in efforts to further individual interests in the global stage. In the example of North Korea, the United Nations failed to keep its most strategic member state accountable for their actions— China. For China, despite its role as a member of the United Nations Security Council, North Korea’s existence will always be of paramount priority and will prevent the failure of the state at extended costs. Furthermore, although the United Nations produces resolutions that require its member states to “comply”, the actual accountability of these resolutions are merely guided by international norms, trade relations, and global reputations. Therefore, the United Nations cannot truly hold China accountable for not following through with its resolutions. As an economic giant and with its preponderance of military presence throughout the world, China has afforded itself the ability to shield itself from the backlash of the international community. Furthermore, countries like China and Russia care little about their international norms allowing for them to operate freely in the setting of international governance where their actions require little accountability. The current United States administration is catching on to this trend of reemergence of state primacy: “In the Trump worldview, bilateral deal-making among great powers is preferred; regional and multilateral organizations that might constrain the United States are suspect.” The resignation of the United States Ambassador to the United Nations, Nikki Haley, is a example of this trend manifesting in the global arena because it sends a political message to the international community that the US does not want to be constrained by international norms stemming from liberalism. Traditionally, as the upholder of global norms, the US’s abilities to be effective in global governance were greatly constrained by its reputation and image. However, with President Trump potentially redefining the US’s role in the United Nations with a state-centric push of “America-first”, the US might eventually enjoy similar freedoms that China currently has in international relations. In short, the United Nations is losing legitimacy amongst great powers like the US. Ultimately, China and the US hold veto power in the Security Council, promote state-centric interests in global governance, and are not held strictly accountable for their actions, no amount of resolutions and condemning will solve international conflicts. With the reemergence of state primacy challenging the current order of global governance, the North Korea issue reveals a grim reality: we lost our ability to properly subdue international issues through global governance because we did not adapt to the growing complexities of our times. Perhaps the institutions of global governance created to solve 20th century issues are no longer fit to solve the problems of today. The United Nations failed to halt nuclear weapons proliferation in North Korea because of strategic failures of key member states as well as underestimating North Korea’s abilities to overcome international sanctions. Despite it being a global conflict, the United Nations and its member states largely relied on the US to handle the North Korean problem because of its strategic interest in the matter. However, with its hands tied to other international conflicts at the time, the US’s ability to actively intervene on the North Korean issue was severely limited. Furthermore, despite being a key Security Council member who agreed on many of the resolutions to punish North Korea, China played a substantial role in allowing the weapons program to thrive. Ineffective sanctions placed by the United Nations did little to stop North Korea’s proliferation efforts and inadvertently incentivized black marketers to frequent businesses with North Korean merchants. Most importantly, the United Nations’ failure to hold its member states accountable to the resolutions and failure to keep North Korea accountable for its agreements led to the greatest failure of global governance. With the reemergence of state primacy amongst member states, the ability for the representatives effectively practice global governance has become nearly impossible. An organization that cannot directly hold states accountable for their actions and can merely affect change through slow processes of international norms is not effective enough to combat complex global conflicts of the 21st century such as the problem of North Korea. Berdal, Mats. “The UN Security Council: Ineffective but Indispensable.” Survival 45, no. 2 (June 1, 2003): 7–30. Francis, John Hudson, David. “Why Did Sanctions Fail Against North Korea?” Foreign Policy, n.d. Accessed November 8, 2018. https://foreignpolicy.com/2016/09/09/why-did-sanctions-fail-against-north-korea/. Goldin, Ian. Divided Nations. Why Global Governance Is Failing, and What We Can Do about It. Oxford University Press, n.d.
Goodrich, Leland M. “The United Nations and the Korean War: A Case Study.” Proceedings of the Academy of Political Science 25, no. 2 (1953): 90–104. hermesauto. “‘Treasured Sword’: What Kim Jong Un Said about North Korea’s Nukes.” Text. The Straits Times. Last modified April 21, 2018. Accessed November 15, 2018. https://www.straitstimes.com/asia/east-asia/treasured-sword-what-kim-jong-un-said-about-north-koreas-nukes. Lynch, Colum. “U.N. Report Details How North Korea Evades Sanctions.” Foreign Policy, n.d. Accessed November 8, 2018. https://foreignpolicy.com/2018/09/20/un-report-details-how-north-korea-evades-sanctions/. Park, John S. “To Curb North Korea’s Nuclear Program, Follow the Money.” The Conversation. Last modified September 20, 2016. Accessed November 8, 2018. http://theconversation.com/to-curb-north-koreas-nuclear-program-follow-the-money-65462. Salisbury, Daniel. “Why U.N. Sanctions against North Korea’s Missile Program Failed.” Last modified September 8, 2017. Accessed November 7, 2018. https://www.macleans.ca/news/world/why-u-n-sanctions-against-north-koreas-missile-program-failed/. Sengupta, Somini, and Choe Sang-Hun. “U.N. Toughens Sanctions on North Korea in Response to Its Nuclear Program.” The New York Times, January 19, 2018, sec. World. Accessed November 8, 2018. https://www.nytimes.com/2016/03/03/world/asia/north-korea-un-sanctions.html. “Analysis | How ‘isolated’ North Korea Managed to Build an ICBM That Could Reach Alaska.” Washington Post. Accessed November 8, 2018. https://www.washingtonpost.com/news/worldviews/wp/2017/07/07/how-isolated-north-korea-managed-to-build-an-icbm-that-could-reach-alaska/. “Atomic Energy Research Institute | Facilities | NTI.” Nuclear Threat Initiative. Accessed November 8, 2018. https://www.nti.org/learn/facilities/776/. “Chronology of U.S.-North Korean Nuclear and Missile Diplomacy | Arms Control Association.” Accessed November 8, 2018. https://www.armscontrol.org/factsheets/dprkchron. “Crisis in Global Governance.” Council on Foreign Relations. Accessed November 25, 2018. https://www.cfr.org/event/crisis-global-governance-0. “Factbox: History of Failure: Efforts to Negotiate on North Korean…” Reuters, March 6, 2018. Accessed November 7, 2018. https://www.reuters.com/article/us-northkorea-missiles-talks-factbox-idUSKCN1GI2PQ. “North Korean Nuclear Negotiations: A Brief History.” Council on Foreign Relations. Accessed November 8, 2018. https://www.cfr.org/timeline/north-korean-nuclear-negotiations. “President Trump and the Future of Global Governance.” Council on Foreign Relations. Accessed November 25, 2018. https://www.cfr.org/blog/president-trump-and-future-global-governance. “The United Nations in Korea.” Accessed November 6, 2018. https://www.trumanlibrary.org/dbq/unitednations.php. “Understanding the China-North Korea Relationship.” Council on Foreign Relations. Accessed November 8, 2018. https://www.cfr.org/backgrounder/china-north-korea-relationship. “Understanding UN Sanctions on North Korea.” Carnegie Endowment for International Peace. Accessed November 7, 2018. https://carnegieendowment.org/publications/interactive/north-korea-sanctions. “United Nations Forces in the Korean War | The Anzac Portal.” Accessed November 6, 2018. https://anzacportal.dva.gov.au/history/conflicts/korean-war/korean-war/armed-forces-korean-war/united-nations-forces-korean-war. ‘Treasured Sword’: What Kim Jong Un Said about North Korea’s Nukes,” Text, The Straits Times, last modified April 21, 2018, accessed November 15, 2018, https://www.straitstimes.com/asia/east-asia/treasured-sword-what-kim-jong-un-said-about-north-koreas-nukes. “The United Nations in Korea,” accessed November 6, 2018, https://www.trumanlibrary.org/dbq/unitednations.php. Leland M. Goodrich, “The United Nations and the Korean War: A Case Study,” Proceedings of the Academy of Political Science 25, no. 2 (1953): 90–104. “Chronology of U.S.-North Korean Nuclear and Missile Diplomacy | Arms Control Association,” accessed November 8, 2018, https://www.armscontrol.org/factsheets/dprkchron. “Analysis | How ‘isolated’ North Korea Managed to Build an ICBM That Could Reach Alaska,” Washington Post, accessed November 8, 2018, https://www.washingtonpost.com/news/worldviews/wp/2017/07/07/how-isolated-north-korea-managed-to-build-an-icbm-that-could-reach-alaska/. “North Korean Nuclear Negotiations: A Brief History,” Council on Foreign Relations, accessed November 8, 2018, https://www.cfr.org/timeline/north-korean-nuclear-negotiations. Daniel Salisbury, “Why U.N. Sanctions against North Korea’s Missile Program Failed,” last modified September 8, 2017, accessed November 7, 2018, https://www.macleans.ca/news/world/why-u-n-sanctions-against-north-koreas-missile-program-failed/. Somini Sengupta and Choe Sang-Hun, “U.N. Toughens Sanctions on North Korea in Response to Its Nuclear Program,” The New York Times, January 19, 2018, sec. World, accessed November 8, 2018, https://www.nytimes.com/2016/03/03/world/asia/north-korea-un-sanctions.html. John Hudson Francis David, “Why Did Sanctions Fail Against North Korea?,” Foreign Policy, n.d., accessed November 8, 2018, https://foreignpolicy.com/2016/09/09/why-did-sanctions-fail-against-north-korea/. John S. Park, “To Curb North Korea’s Nuclear Program, Follow the Money,” The Conversation, last modified September 20, 2016, accessed November 8, 2018, http://theconversation.com/to-curb-north-koreas-nuclear-program-follow-the-money-65462. Eleanor Albert, “The China-North Korea Relationship,” Council on Foreign Relations, accessed April 12, 2017, http://www.cfr.org/china/china-north-korea-relationship/p11097. “President Trump and the Future of Global Governance,” Council on Foreign Relations, accessed November 25, 2018, https://www.cfr.org/blog/president-trump-and-future-global-governance. “Crisis in Global Governance,” Council on Foreign Relations, accessed November 25, 2018, https://www.cfr.org/event/crisis-global-governance-0. Ian Goldin, Divided Nations. Why Global Governance Is Failing, and What We Can Do about It (Oxford University Press, n.d.).